The red queen of the Italian cuisine: La Pumarola. The fresh tomato sauce is a base for many local dishes, not only as a pasta dressing. It is perfectly conserved and therefore worthwhile cooking in summer time, when tomatoes are ripest . In a big large pot fry the veggies in olive oil. Add the tomatoes and stir well. Bring to boil, reduce flame and cook for about 1 hour, until most liquids evaporate. Add salt and pepper. In the last 5 minutes of cooking add the basil leaves. When mixture is dense, take off the fire and mill it in the pot using the “leg” of the food processor. Replace on the fire for other 10 minutes, in order to let liquids evaporate. Set aside to cool. 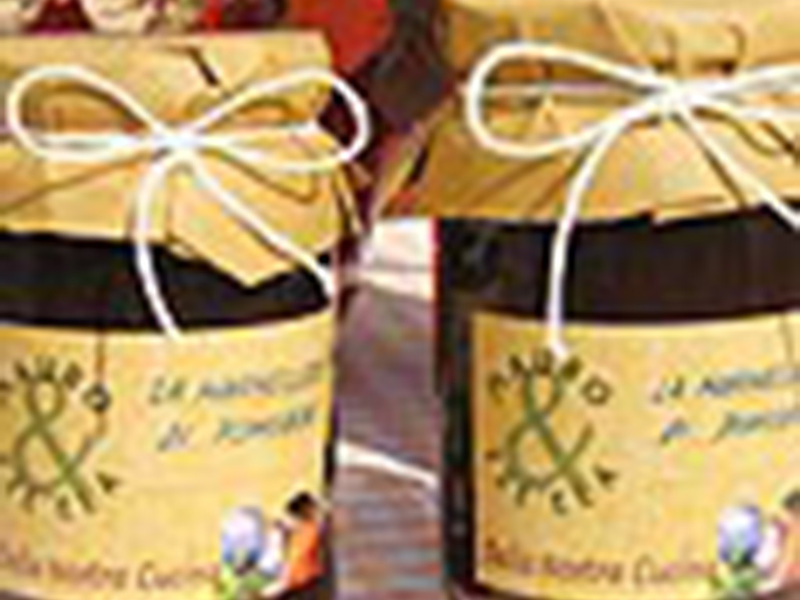 Conservation: place the Pumarola in jars, close well. In the same big pot boil water. Put the jars in the water in a way that the covers will be covered by the water (can be put upside down)and keep boiling for 20 minutes.